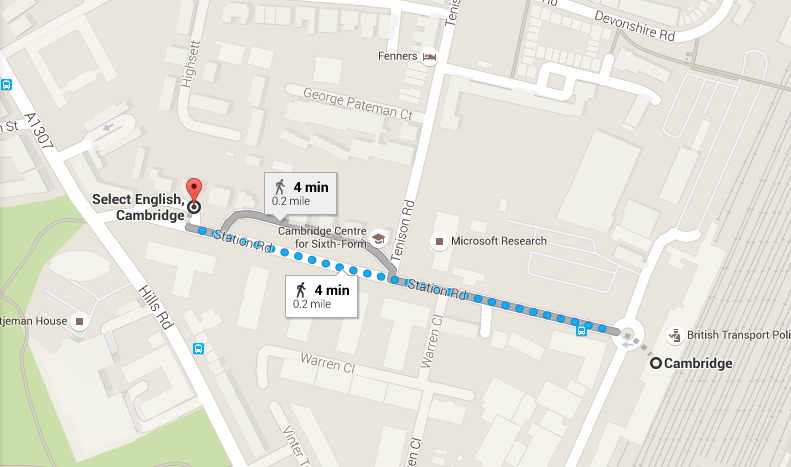 Cambridge is a small city and it’s very easy to travel around. Most students travel to school by bus. You can find information about local buses here. You can save money if you buy a Megarider. This is a weekly travel ticket. You pay once and then you can use the same ticket all week. You can buy it online or from the bus driver. Ask the driver: “Can I have a Megarider, please?” You can find more information here. 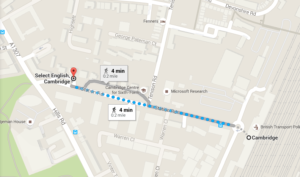 If you enjoy walking, you can easily walk around the city centre. There are lots of interesting places to see. 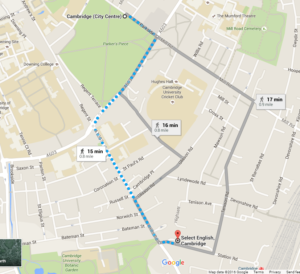 Click here for some interesting walks around Cambridge. Although there is lots to do in Cambridge, you might also want to visit other places in the UK. You can travel by bus or train. Visit The Trainline Website for more information. If you want to travel further, you can go by plane. London Stansted airport is a short train journey from Cambridge. The best low-cost airlines are easyJet and Ryanair. You can buy a ticket from the ticket office or from a ticket machine. When you buy a ticket, you can ask for a single (travel in one direction, from Cambridge to London) or return (travel somewhere and return home, for example, from Cambridge to London and then London to Cambridge). You might want to book in advance (buy a ticket before the day that you travel) and reserve a seat (make sure you have a seat) on the train. How much is a single/ return to (London)? When does the next train to (London) leave? When does the train arrive in (London)? Do I need to change trains or is the journey direct? For more advice about living and studying in the UK, take a look at our other Advice blog posts here!